Shipping is calculated for single piece orders. If you order multiple pieces I will refund any additional shipping you paid over the actual shipping cost. 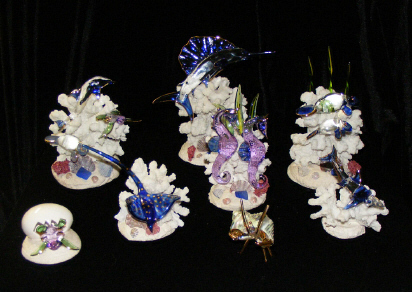 Specializing in nautical gifts of hand blown glass, created and designed by renowned artists Michael Liguori. Each piece of art is consistent with the picture shown. However, all products are hand made and may vary slightly. I use only the highest quality borosilicate glass , then each piece is accented with 22kt gold, fired on the glass. 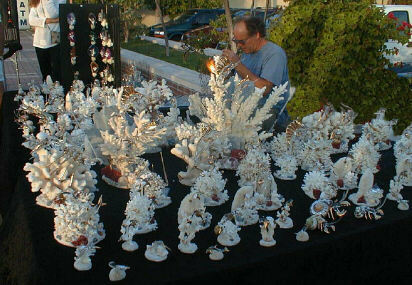 By Visiting my gallery of individually hand created items you are sure to find something different and exciting. I also custom create many combinations of the merchandise shown. The photo Album represents what you see on my display at the art shows. T-shirts, Posters, Patches, Hats, Beanies and much much more, check it out.